I would like to introduce a new feature ......'5 minutes with.....' where I pose 5 quick questions to fellow craft bloggers whose blogs I love! The idea is to gain a bit of an insight into what other bloggers do, how they work and what makes them tick. I hope you enjoy it! First up is Emma of EmmaMade. I came across Emma's blog when I first joined Twitter and I have been following avidly ever since! You can also see more of Emma's love of crafting on her Pinterest Page. Hello Sally Strawberry readers! I'm very well thank you - it's such a pleasure to be chatting to you all today. 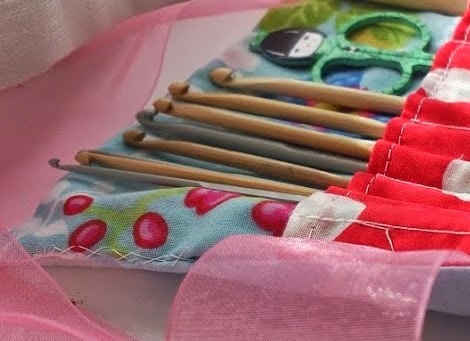 Looking at your blog you are into a range of crafts from crocheting, knitting, sewing and paper craft. What would you say is your favourite and why? For me, it's got to be crochet that's the winner. While I was at university and when I first started working, I dabbled in a few different creative projects but never seemed to find time to really get stuck in to crafting. Crocheting helped me to fall in love with making things as I found I could fit it into my busy life. 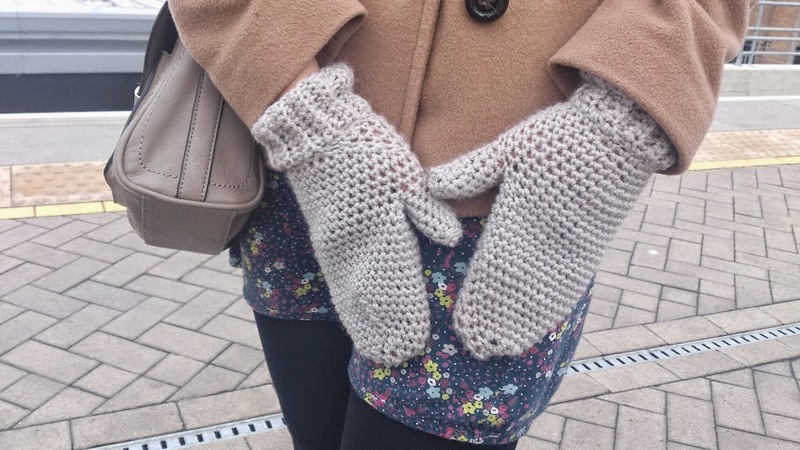 When I was living in London, I could crochet on the tube or on the buses to and from work. Sometimes I'd have people admire my handiwork or ask me what strange form of knitting I was doing! Gradually I started to find patterns online and naturally stumbled across beautiful blogs such as Attic24, Lululoves and One Sheepish Girl. The crafting obsession began. Like me you are a self-taught crocheter. How did you learn? Was it through books or YouTube for example? In the summer after my first year of teaching I decided that I wanted to improve my knitting so that I could run a lunchtime knitting club for the kids at school. I bought a crochet hook because someone had told me you could pick up dropped stitches several rows back using one and I wanted to learn how to do it. Around about the same time my mum had visited Hobbycraft for the first time and had brought back their free guide on learning how to crochet. I ended up playing around with a spare ball of wool and the hook and learnt the basic stitches from that guide. It's available online here and I always recommend it to people who are thinking about taking up crochet. Being a teacher and a craft blogger must be very time-consuming and tiring. How do you fit it all in? Good question! Lots of teachers really struggle with managing any kind of reasonable work-life balance. I tend to work 10-11 hour days at school without a lunch breaks so I don't have to work so much at home. I often dream up new craft projects on my train home from work so that, most nights, by the time I'm home school-work is a distant memory and I'm eager to get crafting! Finally, what do you enjoy doing in your spare time when you are not crafting or blogging? I'm pretty busy during the school terms, but, at the weekends and holidays, I love a good day trip! I'm currently re-reading the Harry Potter books after a trip to the Warner Brothers Studio Tour. I also love going up to Scotland to visit my family. It always feel like an antidote to my busy term times. Thanks so much for your time Emma. I couldn't imagine being a teacher and blogging and crafting regularly- I don't know how you do it! Please, don't forget to check out Emma's blog where you can see loads more of her fabulous creations!